An ISIS video released last month shows members of its religious police in Mosul, Iraq, burning hundreds of Christian books it deems blasphemous. While Christianity continues to be physically erased from the Middle East, lesser known is that its historical role and presence is also being expunged from memory. 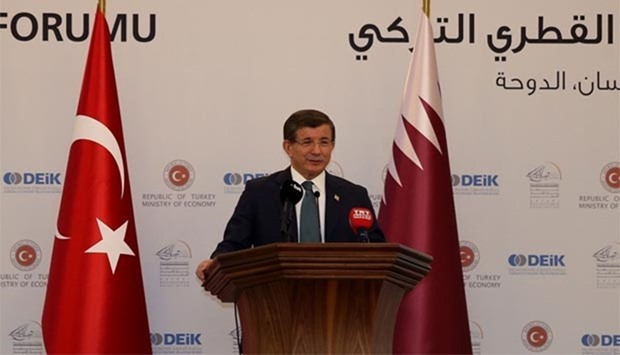 One of the economic priorities of Turkey is to sign free trade agreements with Gulf Co-operation Council (GCC) countries, including Qatar, Turkish Prime Minister Ahmet Davutoglu has said. “We have to enrich relations between Turkey and the GCC, and we look to Qatar as the cornerstone that will help us advance our relationship with these countries,” the Prime Minister explained in Doha on Thursday. Bond dumping isn't the real danger. In recent years there has been much speculation over what would happen to U.S. financial markets and the economy if Chinese authorities suddenly decided to sell the approximately $1.3 trillion in U.S. Treasuries or government bonds they are estimated to own. In recent weeks, rumors have circulated that the Saudis were considering selling theirs—up to $750 billion of American dollar-denominated assets held by the kingdom. The United States is back in Iraq. Actually, it never really left. 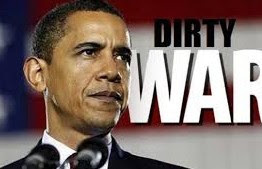 President Obama supposedly withdrew all American forces in 2011, except for a few hundred Marines, defense contractors, and military advisors. But it wasn’t long before he began ramping up our presence again, through temporary deployments and other means. DENVER – US President Barack Obama supposedly “cleared the air” with Saudi King Salman before the latest meeting of the Gulf Cooperation Council in Riyadh, Saudi Arabia’s capital. Given how strained the bilateral relationship is – a situation long in the making – that was probably the best outcome that could reasonably be expected. But it is not enough. Bombs hitting hospitals, doctors and rescue workers killed, civilians starving, scores of dead and injured every day – the raw, bleeding statistics of Syria’s unending war are making a nonsense of an already fragile truce and destroying the slim hopes that peace talks can even carry on. 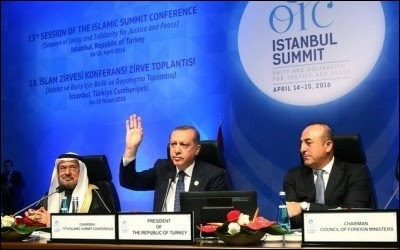 As the world's Muslim leaders admitted at last week's Islamic summit, the past 1,400 tumultuous years of sectarian fighting did not bring peace and happiness to Muslim lands. But, judging from the happy smiles and big speeches at the summit, the next 1,400 tumultuous years may be better. 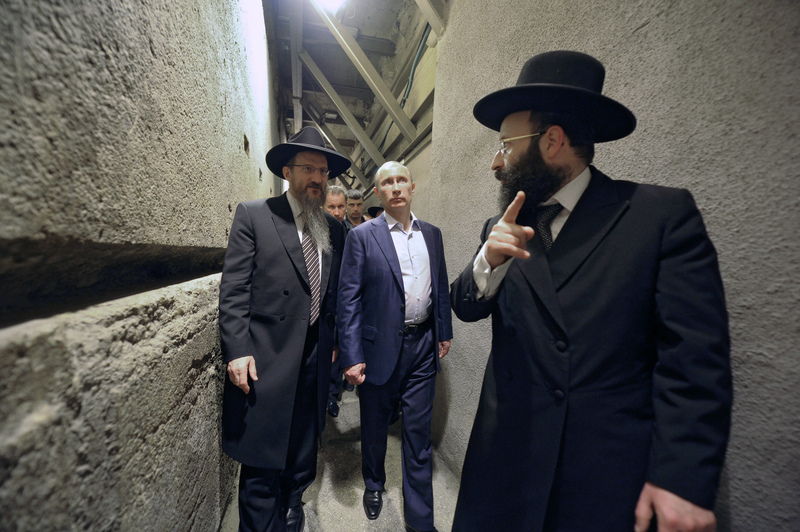 Moscow has little incentive to join the mostly Shi'ite "Axis of Resistance" as this could ruin its ties with other regional powers such as Israel, Saudi Arabia and Egypt. 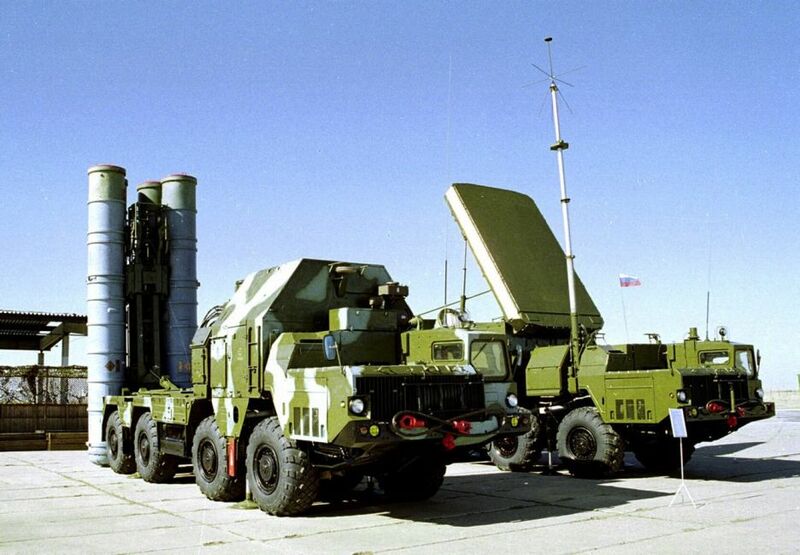 DUBAI/MOSCOW - When Iran took delivery of the first parts of an advanced Russian air defense system this month, it paraded the anti-aircraft missile launchers sent by Moscow to mark Army Day. 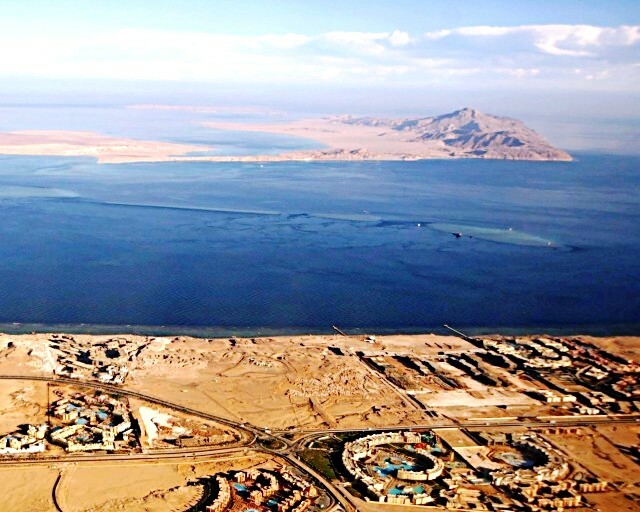 The US withdrew its forces from the Sinai Peninsula last weekend in retaliation for Egypt's transfer of sovereignty over Tiran and Sanafir islands to Saudi Arabia, according to DEBKAfile's military and intelligence sources. 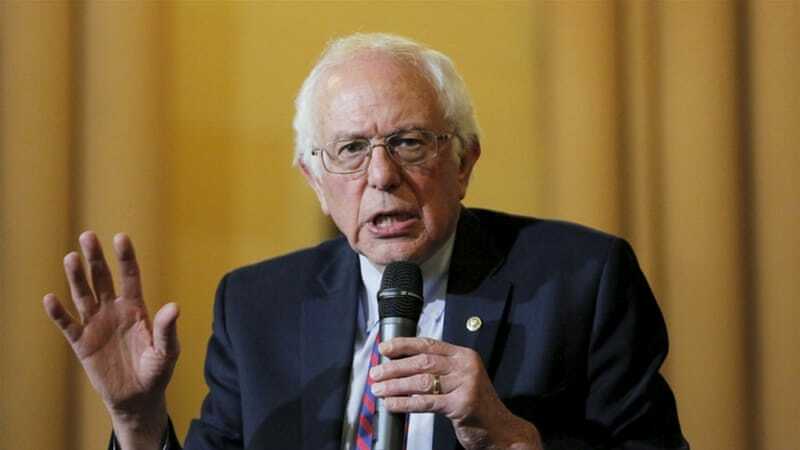 They also report that the move came after Washington protested to Egyptian President Abdel Fattah al-Sisi over its exclusion from the consultations and military coordination between Egypt, Saudi Arabia and Israel regarding the islands. Ankara is painting its enemies with too broad a brush. With fierce clashes between Kurds and Turkish police causing mayhem throughout Turkey’s southeast, and Islamic State–related activity noticeably on the rise, there is no doubt that Turkey has a militancy problem. However, there is one group, commonly overlooked by the Turkish government, that likely poses the biggest threat. Since its start more than five years ago in March 2011, the Syrian civil war has been marked by death, carnage and dislocation — with no real end in sight. Has the countdown to next Hamas-Israel war begun? Israel and Hamas have been escalating their war of words, which observers on both sides fear could turn into violence. More than 33,000 civilians were killed or injured by explosive weapons in 2015, an increase of more than 50% in five years, according to a wide-ranging survey passed to the Guardian. 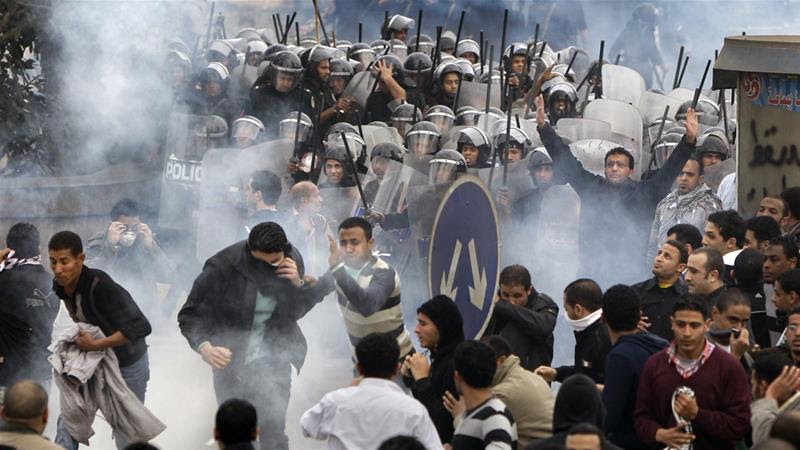 The Arab Spring uprising left Egypt with an assortment of leaders and an uncertain future. After the ousting of President Hosni Mubarak in February 2011, the Egyptian economy fell into a sustained decline. Soon after the Mubarak era ended, Mohamed Morsi began a short-lived reign that ended with his ousting in July 2013. Abstract: Internal Islamic State documents, including documents obtained by the author and published here for the first time, shed new light on how the Islamic State has come under strain as it is degraded by coalition air strikes and loses territory. STOCKHOLM – Muscular language has become increasingly prevalent in the debate about how to counter the threat of jihadist terrorism. Television talk-show hosts speculate about when control of Raqqa in Syria or Mosul in Iraq might be wrested from the Islamic State (ISIS), implying that these cities’ liberation will mark, at the very least, the beginning of the end of the problem. And in December, Ted Cruz, a Republican contender in the US presidential race, went so far as to raise the specter of nuclear strikes: “I don’t know if sand can glow in the dark, but we’re going to find out,” he said. 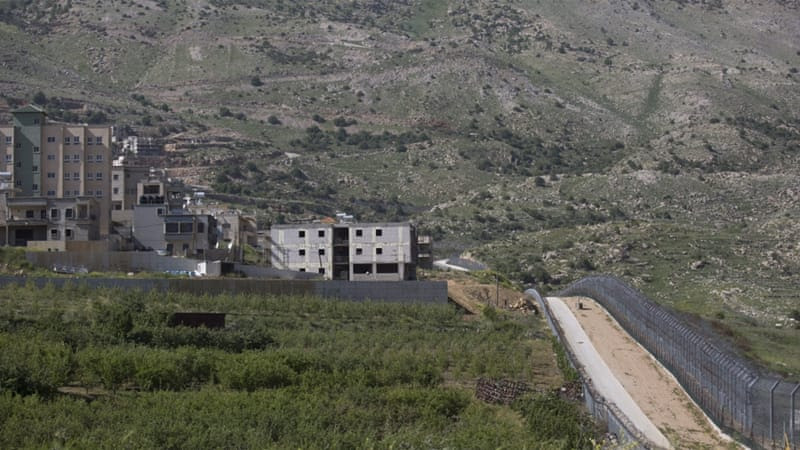 As the beginning of the endgame on Syria commences, Israel is signaling its intention to join in the feasting on Syria's decaying sovereignty - demanding international recognition of Israeli sovereignty over the Golan Heights captured from Syria in the June 1967 war. Deserts are seemingly obvious places to locate solar technology. In fact, the swath of desert stretching from the Atlantic Ocean, across North Africa and the Arabian Peninsula, to the Persian Gulf has vast solar potential. But until recently it has not been economically feasible, or even necessary, to develop the renewable resource. In many areas, geographic constraints such as rough terrain have made solar projects impractical. 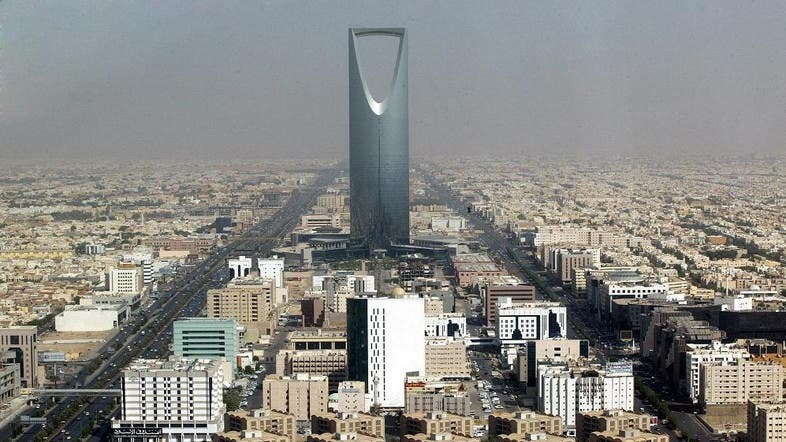 Saudi Arabia has approved an ambitious strategy to restructure the kingdom’s oil-dependent economy, involving diversification, privatisation of massive state assets including the energy giant Aramco, tax increases and spending and subsidy cuts. Ankara walking a tightrope amid ongoing crises. The Turkish government carefully walking a tightrope in building relations with both Iran and its regional archrival Saudi Arabia, in addition to Israel. I predict that the ISIS state in Syria and Iraq will collapse as fast as it arose. Indeed, I will go out on a limb and say I expect it to be gone by the end of 2016. In an attempt to understand the psychology of the West’s adversaries in Syria, Iraq and elsewhere, this briefing asks the question, what does the wider world look like when seen from within the Islamic State group? Setting to one side the enormous political and economic deficiencies of the ‘host’ countries of the Middle East, it examines some of the contemporary and historic perceptions of the West’s relations with the Islamic and Arab worlds, and how these may have influenced IS strategy, particularly its 2015 shift from territorial expansion to attacks on and within Western states. NINEVAH, Iraq — At times, Kurdish Gen. ZiryanShekhwasani accompanied Iraqi army Gen. Najim al-Jabouri to survey through binoculars the battlefield on top of al-Nasr village just a couple of kilometers away. At other times, Shekhwasani stood with his peshmerga troops looking with an air of exasperation at how his Iraqi counterparts were conducting the bloody fight against the Islamic State (IS) militants. The stage is set for a reawakening. 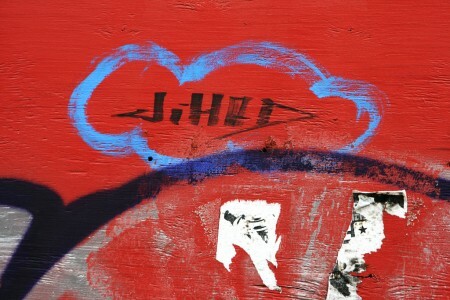 In Islamic State, the world has encountered the most brutal jihad syndicate it’s ever faced. But brutality has its limits. Why is Britain still selling Saudi Arabia arms to use in Yemen? In the House of Commons debate on intervention in Syria last December, one message rang out loud and clear: Britain will not tolerate indiscriminate violence committed by extremists, and will act decisively to counter any threat to our national security. Does Jordan hold key to Palestinian independence? Given the total political stalemate regarding a two-state solution, some in the Palestinian leadership have begun reflecting on “out of the box” ideas for policy initiatives leading to Palestinian independence. One such person is professor Sari Nusseibeh, former president of Al-Quds University in Abu Dis in the West Bank. 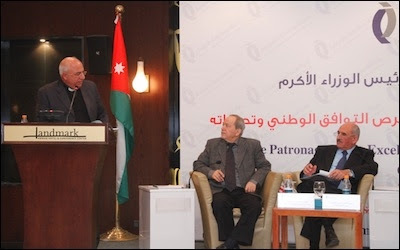 According to a source working with Nusseibeh on the policy proposals, Nusseibeh today supports the establishment of a Jordanian-Palestinian confederation based on two independent states with strong institutional links between them. EXECUTIVE SUMMARY: The fact that Saudi Arabia has now undertaken to uphold in practice the obligations assumed by Egypt under its peace treaty with Israel, means that Israel's place in the region is no longer perceived by Arab leader Saudi Arabia as an anomaly to be corrected. This is a far cry from normalization of Saudi relations with Israel, but it is nevertheless a welcome ray of light, demonstrating the benefits of cooperation and coordination in a region beset by violence. "Information Clearing House" - The great, long-awaited counterattack against ISIS has finally begun. The offensive that spans Syria and western Iraq is targeting the ISIS-held cities of Raqqa and Mosul, Iraq’s second largest city. During Saudi King Salman's first official visit to Cairo recently, he and Egyptian President Abdel Fattah al-Sisi announced their intent to revive the often-discussed plans to build a bridge that would create a direct link between their countries. While the bridge plans are somewhat nebulous, the two leaders also signed off on a more concrete accord, an agreement that redraws the maritime boundary between the two nations to return control over two strategic islands situated at the entrance to the Gulf of Aqaba, Tiran and Sanafir, to Saudi Arabia. If the bridge is ever built, it could prove a mixed blessing for both states; the island transfer, on the other hand, has created political outrage in Egypt. The dramatic debate between Senator Bernie Sanders and Hillary Clinton in Brooklyn on April 14, in anticipation of the New York primaries on April 19, notwithstanding, the national conversations about the US presidential campaign has become positively predictable, if not punishingly boring - except for the grassroots mobilisation it has triggered and that may one day change the shape of politics in this country. UN-sponsored Syrian peace talks are facing a new crisis after opposition negotiators decided to delay their participation in the formal process until officials representing President Bashar al-Assad start to discuss the creation of a transitional government in Damascus – which they have so far refused to do. How to cooperate against terrorism? Recent terror attacks in Paris and Brussels have sadly shown the mistakes and sometimes the lack of cooperation of security services. 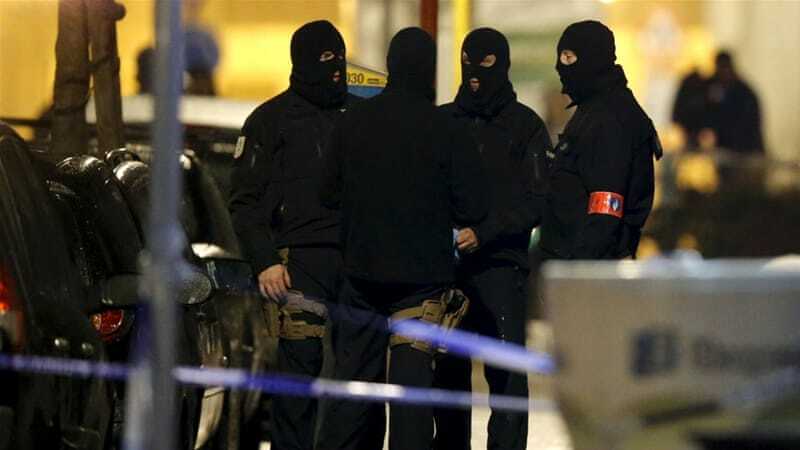 Indeed, the November attacks in Paris were planned by a Brussels-based cell that was likely to be piloted by the Islamic State of Iraq and the Levant (ISIL, also known as ISIS) leaders in Syria. 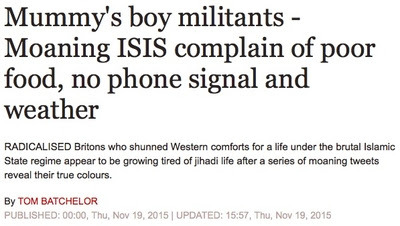 But Belgium failed to pass information to France about the members of that cell. Op-ed: The S-300 missile deal between Iran and Russia is more symbolic than an actual threat; Moscow has yet to transfer the missiles, but Israel should do everything it can to ensure its security in an increasingly militarized Middle East. When Iraq’s prime minister, Haider al-Abadi, failed again this week to replace his corrupt cabinet with a new breed of reformists, the impact reverberated far beyond Baghdad. Ankara is developing a dual-track approach to the Middle East by simultaneously courting bitter rivals Saudi Arabia and Iran to shore up its position in a region that has defied its plans and ambitions to date. Foreign policy experts say this new approach, which they consider to be a “work in progress,” has the potential to make Turkey an influential regional player again if it is allowed to mature. We think of the police mainly as crime fighters, but more important is their role in maintaining the dominant social and economic order and curbing dissent, writes Sayigh [AP]. The fifth anniversary of the uprisings that challenged autocratic rulers in six Arab states in 2011 has generated many retrospective reflections. Top German security officials say criminals and violent Islamists are using the asylum crisis to recruit refugees. They especially target minors traveling alone. 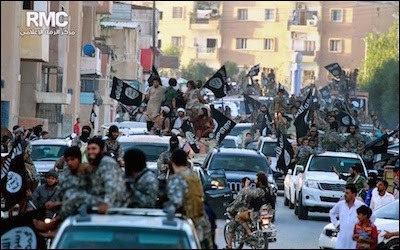 BERLIN — Germany's top domestic security official is warning that ISIS is actively recruiting among the new waves of refugees arriving in the country. Even by Saudi Arabia’s extravagant standards, this week’s visit to Turkey by King Salman bin Abdulaziz, seen as a key moment for relations between the two leading Sunni Muslim powers, has set new records for opulence and paranoia. These people have a right to self-determination after defending both their identity and indirectly upholding our safety. When the oppressed and marginalized die because they are oppressed and marginalized, the powerful are to blame. – John Green on the refugee crisis It has become routine to demonize the Middle East. Mahmoud Abbas, the president of the Palestinian Authority, is old and tired. The eighty-one-year-old from the village of Safed has been ensconced in the dysfunction and heartbreak of Palestinian politics for most of his professional life, where he played second fiddle to Yasser Arafat for years before climbing his way to the top of the PA hierarchy. While Russian troops have partially withdrawn from Syria, peace talks continue between U.S.- and Russian-led camps and also between countries at bilateral level as in the case of Russia and Israel.On March 15, Israeli President Reuven Rivlin visited Moscow to hold talks with President Vladimir Putin on Syria and the circumstances that led to Russian pull-out. According to Israeli media, the two leaders also discussed continued military coordination between Jerusalem and Moscow in Syria. MADRID – After years on the sidelines, Russia is back at the center of the Middle East geostrategic game. Against the background of an equivocal United States policy, Russia’s calculated intervention in the Syrian civil war is a rare case in which a limited use of power in the region resulted in a major diplomatic shakeup. Trevor Phillips, who commissioned an infamous 1997 report on "Islamophobia," says he "got almost everything wrong" on Muslim immigration. 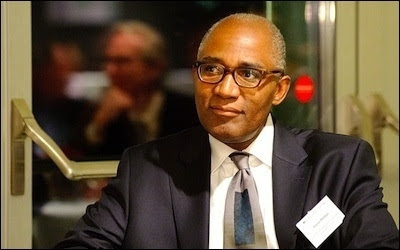 The former head of Britain's Equalities and Human Rights Commission (EHRC), Trevor Phillips, has admitted he "got almost everything wrong" on Muslim immigration in a damning new report on integration, segregation, and how the followers of Islam are creating "nations within nations" in the West. Turkish president Tayyip Recep Erdogan has raised another large obstacle on the road to Turkish-Israeli reconciliation and normal ties. Saudi King Salman, who is visiting Cairo, confided to his host Egyptian president Abdel-Fatteh El-Sisi that Erdogan had made it clear that he would not finally repair Ankara's ties with Israel until Sisi came forward to shake his hand, stopped being hostile and turned a new page in their relations. The 'Salman Doctrine' can't back up its tough talk. Analysts from the Gulf Arab states are generally upbeat about Saudi Arabia’s possible military dominance in the Gulf neighborhood and the Middle East region. A Saudi commentator has recently argued in an online feature published by the National Interest that Riyadh, in collaboration with Sunni Arab and Muslim allies, stands poised to fill the strategic void created by America’s move to disengage from the Middle East. 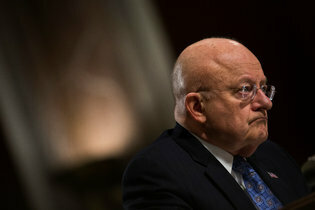 A former intelligence officer shares twelve points about a manageable danger. Politicians and terrorism experts have a vested interest in focusing on the worst-case scenarios about terrorism and putting the direst spin possible on recent events. With the near irrelevance of core Al Qaeda, Islamic State (ISIS) is the latest fixation. The Egyptian government stated that it decided to renounce sovereignty in the islands to the Kingdom following the work of a joint Egyptian-Saudi committee. In an unprecedented move, Egypt announced Friday that the two disputed Red Sea islands, Sanadfir and Tiran, fall within the territorial water of Saudi Arabia, thereby putting an end to a 60-year-old dispute with the Kingdom over their ownership. Iraqi Kurdistan and the governing Kurdistan Regional Government (KRG) is in the midst of a major shift toward autonomy in the northeastern enclave of Iraq. Since the 1970s, the Iraqi Kurds have been struggling for autonomy having faced many internal and external hurdles. The Custodian of the Two Holy Mosques King Salman bin AbdulAziz announced the inauguration of a bridge project linking north western Saudi Arabia to the Sinai Peninsula at a historic Saudi – Egyptian summit in Cairo yesterday. The Egyptian President Abdel Fattah El-Sisi named the structure “King Salman Bridge”. Meanwhile, the Saudi Deputy Crown Prince Mohammed bin Salman who is also the Second Deputy Prime Minister and the Minister of Defence signed an agreement with Egyptian Prime Minister Sherif Ismail to demarcate the sea borders of both countries. This agreement was one of 17 signed yesterday.